There are usually lots of changes with the entry requirements of various countries, so this is like an updated guide on my experience when I applied for a United States (US) Transit visa from Nigeria recently. First, the ‘Transit Visa’ also means Non-immigrant Visa. It is a type of visa issued when you are a permanent resident elsewhere but you want to be in the US for a short time, say for fun, business, short visit with family or friends, a conference or medical treatment. You can show you have enough ties that will ensure you return at the end of your visit. They don’t want you to get there and escape to go hustle. Binding social and economic ties are known to aid a positive response. To say that in another way, if you are married and have investments in Nigeria, you stand a better chance. International travel history could have its advantages but once you have genuine reasons and can prove it, no shaking. In my one case, I had a medical issue I wanted to seek a second opinion on. For medical treatment, you would be required to supply extra information if you want the US Transit Visa. A medical diagnosis report from a local doctor that explains the nature of what you are suffering from and why you should get the treatment in the US. You would also need a letter from the medical facility (hospital) that is willing to treat you. The letter should show the length and cost of the treatment. You would need to detail the plans you have in place like transportation and living expenses, as it might be required during the interview. To get the visa, you would be required to make the visa application payment at the bank, use the receipt to book an appointment online then attend the interview in person, if you are between the age of 14 and 79. Step 1: Make a non-refundable visa application fee at Guaranty Trust Bank. The fee for most visa types is $160. It is $190 for Athletes, Artists and Entertainers, Religious Workers, Intra-company transferees, $205 for Investors/Traders and $265 for the prospective or married spouse of a US citizen. The payment is made using the local currency at the Consular Exchange Rate. Payment to GTB can be made ONLINE. Step 2: Complete online form (DS-160). The DS-160 is the form for Nonimmigrant Visa Electronic Application. Go HERE. Login into your profile using the credential used during payment. When you login, on your dashboard, click on the link on the left-hand side to schedule your appointment for the personal interview. Read the guideline to complete the form HERE. For the Photos and Fingerprints, see detailed GUIDE. The appointment should be only one, but you can change the date by scheduling another after cancelling the one (s) made earlier. If you have been denied a tourist visa, you will not be allowed to schedule another within 90 days. Also, you can get a lot of help with the applications at the consular office or Embassy. There are outsourced professionals that help with the required standard photographs but trust them na, the fees are higher. When it was my turn to be interviewed, they complained about my passport photograph and I had to go get help outside. Ensure the name you used when completing the online form and DS 160 confirmation print-out is the same one on your international passport, else you would not be allowed to go ahead with the interview. I saw a few people turned back, despite begging. Ensure you arrive early as you will not be allowed to proceed with the interview if you arrive more than an hour late. 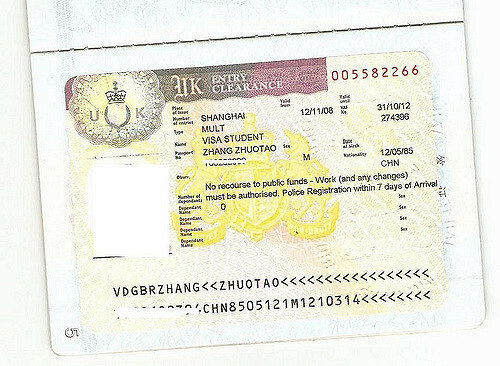 If anything or anybody will delay you, know you will live another day to get your visa. I did my interview in Abuja at the US Embassy but there’s also the option of the US Consulate General office in Lagos. The one is Lagos is known for the crowd. The one in Abuja, you can boil water, go get visa and come back to make eba for the family, on some days oh. When you meet the officer to interview you, be very straight forward. Maintain eye contact and don’t hope to attract pity, as it will likely not work. You might not be required to show any documents at times, just reply the questions and the request would either be positive or otherwise. If your expectations are not met, please don’t start crying there eh. My eye see something that day. When your request is successful, the officer will tell you where and how to pick up your visa. ME: Good morning (smiling), how are you doing? VO: Morning. I’m doing just great, you? He looked up as he was typing. He asked other questions that I answered. He returned them and stamped my visa. VO: Okay, come collect your visa next week. Two minutes, thirty seconds max. Having an understanding of how the whole process works and preparing a solid plan (with evidences) will ensure you get the visa. Ask yourself why go, where you would stay, how you would get by. There are certain instances where you might have this covered but the visa application is still denied, just accept it in good faith and re-apply when you can. Cheers. hi , pls my wife is traveling to St.Lucia on student visa and she needs to transit through united state atlanta . pls what category of visa will she obtain . **medical treatment. 08035061723,they did for my Mum.visaapplication7000@gmail.com.